Sunday’s column begins with a followup on the Pomona man who was among the first casualties of the Vietnam War, then continues with some Ontario items, a recap of the food phobia discussion we had recently and a weird crime item from Claremont. Friday’s column doubles as an obituary for Jack Mercer, an Ontario icon. He was band teacher at Chaffey High for many years, then led the community band. After recounting his career, I talk about what he was like. In Wednesday’s column, Kishi owner Peter Uno shares more of his favorite jokes. Be prepared to laugh, roll your eyes or both. Also: Culture Corner items, a short history of an Ontario business and, why not, a comment about the weather. One of the foods I will not eat is peas. Dates to childhood. I will not give peas a chance. This means there are pastas, fried rices and occasional other dishes that I won’t order at a restaurant or buy in a store. Chicken pot pies almost always have peas, for instance. 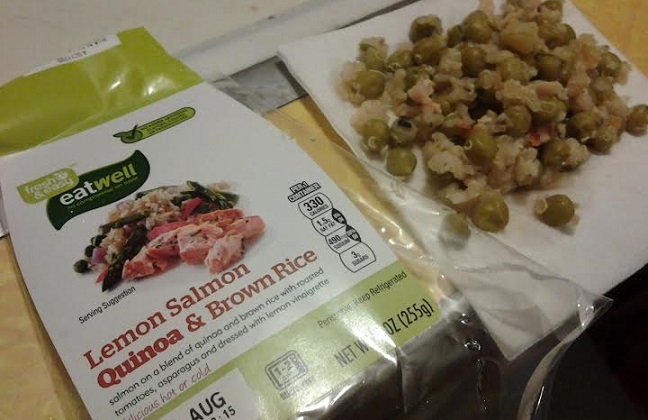 Usually I’ll check for suspicious ingredients, but I let my guard down Sunday at Fresh and Easy when I bought the seemingly innocent Lemon Salmon Quinoa and Brown Rice entree. Then I heated it up for dinner and discovered peas. Plenty of them. I began fishing them out with a fork. And kept fishing, and kept fishing. This wasn’t easy, as the dish also had asparagus, which is also green but which I will eat. 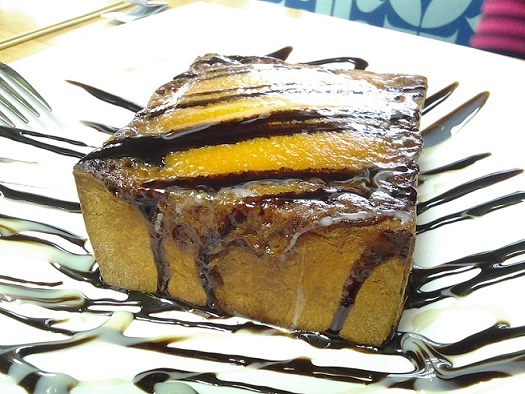 Have you ever tried separating an objectionable item from a dish? Just when you think you’ve got them all, you find more. I thought I was done, then found probably 10 more. When I started eating, another pea turned up almost immediately. Eventually three more hidden peas were spotted. 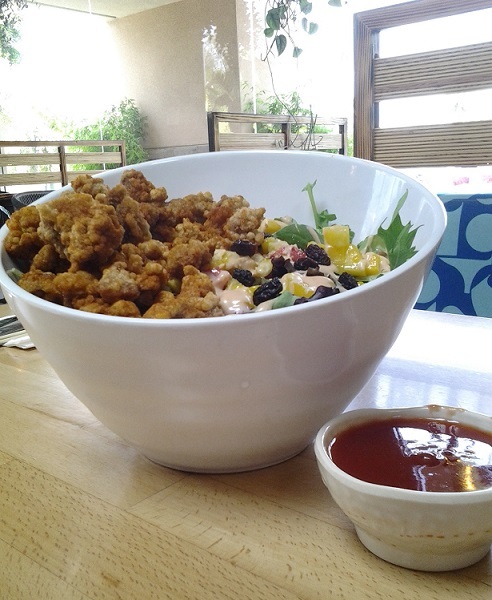 All in all, this 9-ounce serving had something like 60 peas. It should have been called Lemon Peas, Etc. I won’t be buying that entree again, obviously. (The rest was tasty in a healthful way. It might be less work to make the dish from scratch, sans peas.) Your turn: Is there an item, or two or three, you resolutely refuse to eat? Peter Uno has sold Kishi Japanese Restaurant in Upland to new owners, who take over Sept. 2. 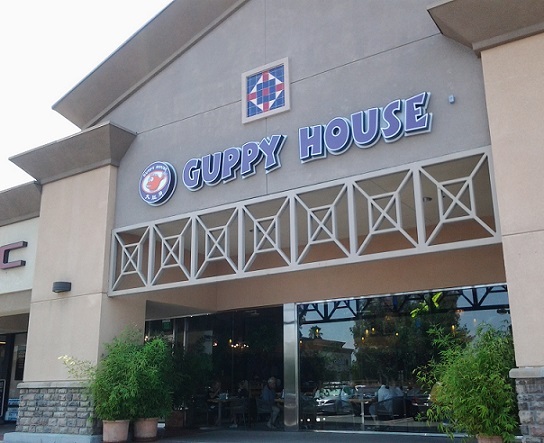 The restaurant opened in 1982 at 320 W. Foothill Blvd. 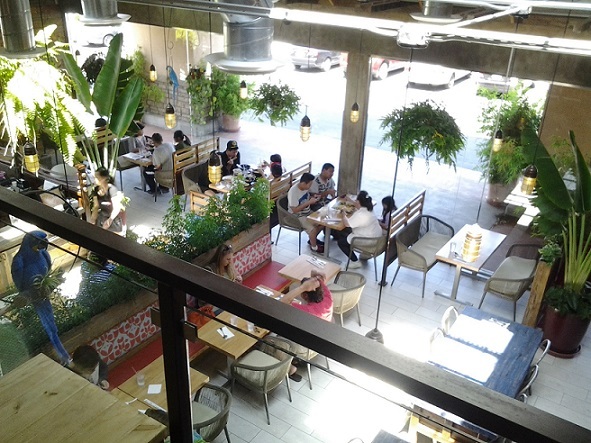 and was the first sushi bar in the region. Sunday’s column tells his story. Feel free to comment below if you have a memory of the restaurant. In the latest from the Ontario City Council, Paul Avila puts on another show at Tuesday’s meeting. He’s also seeking to unseat Paul Leon in the mayor’s election in November. Details are in Friday’s column. Boonsee is in the Vineyards Marketplace center off the 210 at Milliken, where there’s an Albertsons and other businesses. I’ve eaten at Anthony’s Italian Kitchen, a couple of doors away, so a meal at Boonsee Thai Kitchen would complete the “kitchen” portion of the center. 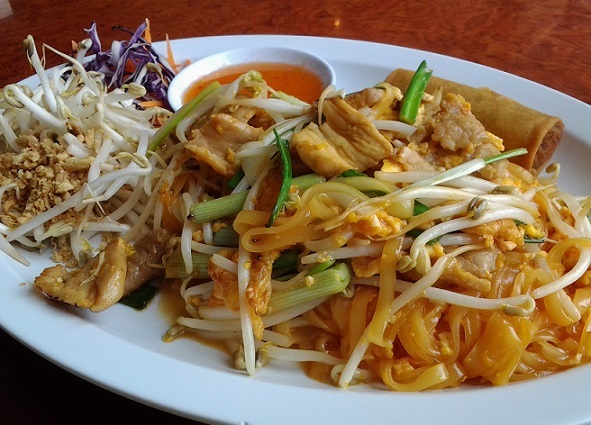 I had lunch there back in May, where I got the staple dish, pad Thai ($7, pictured at bottom) off the lunch menu. It came with a small salad and an egg roll. It was a good version, and a filling portion. Recently I returned with a friend for dinner. 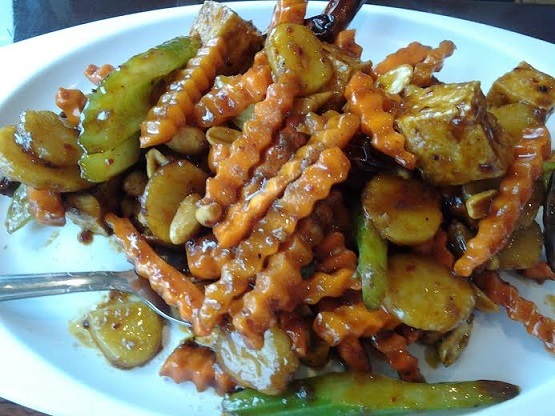 She had kung pao with tofu ($8, below), which she liked, except for the celery. But then, she doesn’t like celery. I had pineapple curry with shrimp ($11), served in a bowl, with rice on the side. It was a yellow curry, mildly spicy, and they didn’t skimp on the shrimp. I fished out five and removed the tails, then discovered two more at the bottom. So I could dub my meal “pleasantly shrimpy,” a phrase that would look good on a list of low-key descriptors in my Restaurant of the Week posts. We liked Boonsee, a cozy place. We also liked thinking of ways to use “boonsee” as a verb or adverb. 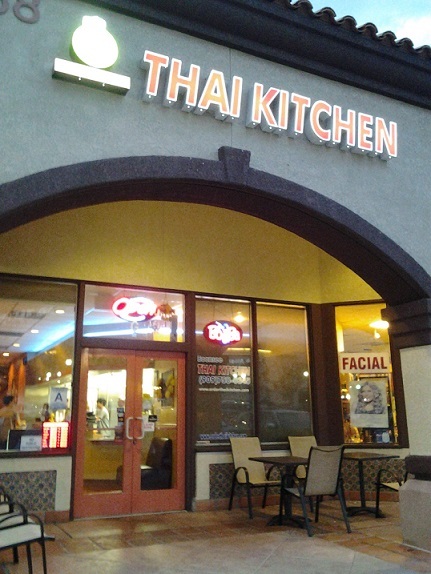 Rancho Cucamonga has only a few Thai restaurants (ones I know about are Thai Diamond, Thai T and Green Mango) and, while Boonsee isn’t breaking new ground, it may be the first or second best in town. It’s certainly the boonsiest. Wednesday’s column bids farewell to actor Ed Nelson and Chaffey High icon Ed Berryman, both of whom died recently. Also, I plug my next book talk, and I briefly recount my vacation activities. I had a good week off even if I didn’t travel anywhere exotic. Wednesday’s column has a short version of my activities, which I cut down for space. Here’s a little more. First there was the Paul McCartney concert at Dodger Stadium. Belying his 72 years, McCartney performed for nearly three hours and ran through three dozen songs, even at that only scratching the surface of his Beatles and solo work. What a night. I saw three very entertaining movies that week: “Guardians of the Galaxy,” “Hercules” and “Edge of Tomorrow,” the Tom Cruise movie that blends sci-fi with “Groundhog Day.” Criminally overlooked, it was the best of the three, and was also the cheapest; I saw it at the bargain-priced Academy in Pasadena, where my matinee ticket was $2. Two days of balmy weather awaited me in Ventura, where the temperatures were in the low 70s, not the low 90s. I checked out two bookstores in Santa Barbara, the Book Den and the Granada, but my attempt to eat at Julia Child’s favorite taqueria, La Super-Rica, was foiled because it was closed the day of my visit. I did get in a game of bowling at Wagon Wheel in Oxnard, a place along the 101 that has enticed me for years due to its quaint name, large neon sign and freeway frontage. In fact, the Wagon Wheel used to have a motel, skating rink, restaurant and other uses, and it still has its own street (“Wagon Wheel Road”) and freeway exit. Everything’s been torn down for a new development, though, except for the 32 lanes. Two journalist friends claimed to be poor bowlers who couldn’t break 100, so to make it interesting we decided I would take them both on, my score against both of theirs. Then they had the game of their lives. The final scores: 133 for me, 123 for Wendy and 113 for Cindy. I couldn’t beat them collectively, but at least I beat them individually. Of course I made one Metrolink trip, meeting a friend in Larchmont Village for lunch and a walk. And I sought out two Jonathan Gold-approved eateries I’d been meaning to try forever: Chili John’s in Burbank, where they’ve been serving chili from behind a U-shaped counter since 1946, and Bulgarini Gelato, a highly regarded Altadena gelateria.